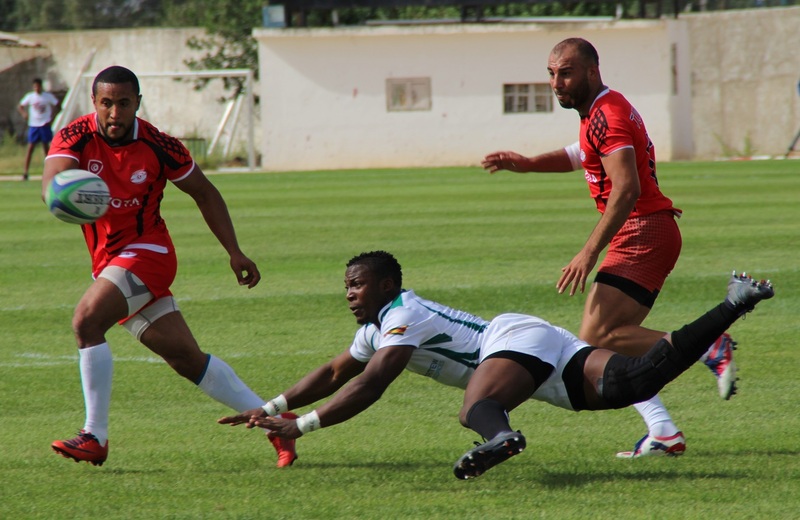 Tunisia Rugby recovered from a 0-118 defeat to Namibia to see off visiting Zimbabwe 18-14 in the Africa Gold Cup on Saturday July 7, 2018 in Beja, Tunisia. Tunisia scored two tries, one conversion, one penalty and a drop goal to seal the win. This was Tunisia's first win of the Africa Gold Cup that is doubling up as 2019 World Cup qualifier. Zimbabwe had two converted tries but could not extend the lead with Tunisia managing to come from 5-14 down to win 18-14. Mohamed Mliss and Issam Ouerhani scored Tunisia's tries with Mohamed Ali Gafsi taking the points. Lenience Tambwagra scored Zimbabwe's tries in the 27th minute and 51st minute. Tunisia bag four points from the win to move to third in the Africa Gold Cup standings while Zimbabwe head home with a losing bonus to drop fifth with three points..
Tunisia coach Ahmed Guerbech shared his excitement saying “On the international level, we beat Zimbabwe last year. We prepared well for this game. We still have three more games that are not going to be easy, two of which are away games. Today, we guaranteed an 80% chance of staying in Group A." Tunisia's next match is against Uganda on August 4 before visiting Kenya on August 11 while Zimbabwe host Namibia on August 4. A bonus point is awarded for winning with three clear tries. The winner of the competition(2018 Africa Gold Cup) will qualify for Rugby World Cup 2019 in Japan as Africa 1, joining reigning champions New Zealand, South Africa, Italy and the repechage winner in Pool B.
Runners-up, Africa 2, will head to global repechage in November for the last chance to qualify for the World Cup. They will play Canada, the loser of Samoa/Germany and winner of Hong Kong/Cook Islands.